Since the Civil War, America has been known, to be the ideal country of heroism, no where else on earth, is a country known for it’s fight to the death persona. After all we are the land of the free, and more importantly the brave who keep us free. America possesses the peace on earth that everyone in history has been, and still are, seeking. We have remained at the top of our game thanks to our TROOPS who take the first step in defending what is right, and when they falter, the American people are right behind them! The Vigilantic American has always fascinated the world, “We the people” known as Americans, who will do whatever it takes in order to stand with our Troops, to defend our rights. 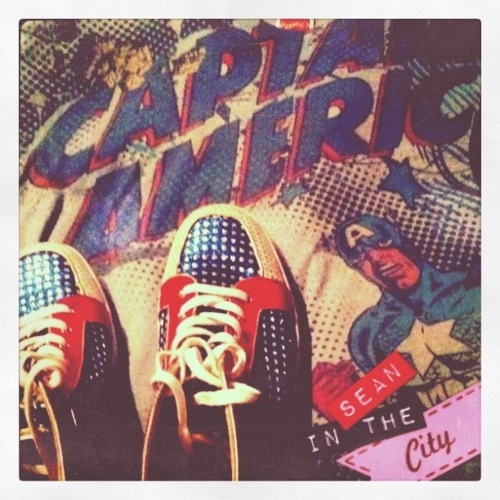 Which brings me to this season’s Christian Louboutin Superball Men’s High top sneaker, The French label has taken the aesthetics of what America is equally famous for, the SUPER HERO. Since WWII superheroes have captivated the minds of every young boy and girl waiting to become the grown Heroes of today. The genre of the comic book was known to be one the 1st politically enriched and heated publications of the 40’s and 50’s. To most people comic books have remained overlooked in their metaphoric and subliminal messaging. 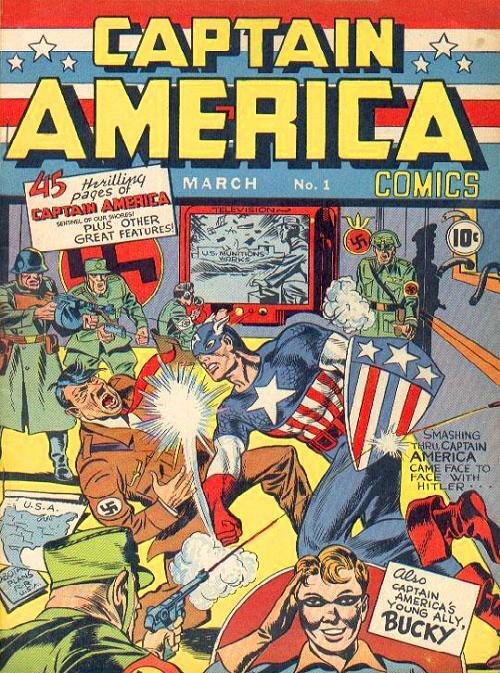 One superhero in particular which was published at the start of America’s thrust into WWII, was used to look Nazi Germany in the face and make them aware of our super human abilities. Captain America to this day is one of America’s greatest icons. Designers around the world have always used the image of America in super heroic ideals. More often than not, the designs take the shape of the comic book genre, a direct reference to America’s super human talents. 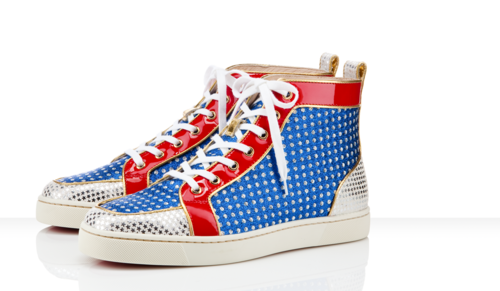 The Christian Louboutin SuperBall sneaker, although French, uses the classic nostalgia of the American comics, the sneaker, A Red patent leather stripe, Blue suede, and Star spangled print, where made to be worn only by those brave enough to stand out. The American lifestyle like the shoes are being sought-after and hunted down, the demand is high for this powerful pair! Men everywhere are seeking this design, no matter at what cost ($625), in order to look like a Super Hero, or even better, feel like an American.